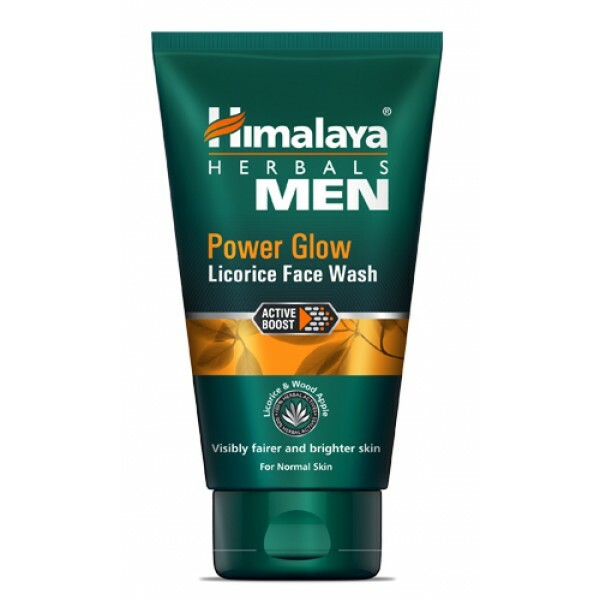 Himalaya Men Power Glow Licorice Face Wash is a soap-free, herbal formulation that gently cleanses the face. It is a fine blend of Licorice, Alfalfa and Wood Apple which helps enhance the complexion and bring about a natural glow. It is powered with Active Boost Technology that increases the penetration of actives and helps in the rapid action of herbs. Licorice contains glycyrrhetic acid and flavonoids which have soothing and antioxidant properties. Applied topically, Licorice helps relieve itching and swelling, improves skin tone and whitens skin. Alfalfa is natural source of vitamins that helps maintain skin health. The herb possesses antioxidant benefits and is a skin conditioning agent. Wood Apple shell powder gently exfoliates dead skin cells, resulting in a mild, nonchemical, mechanical abrasion. Apply Himalaya Men Power Glow Licorice Face Wash on a moist face and massage. Gently work up a lather using a circular motion. Wash off and pat dry. Use twice daily.